India is a land of many, many people……. a land of different cultures. With different people, from different regions, come different faiths. And with different faiths, come different religions and various beliefs. People in India take religion very seriously. People of different faiths, have their own beliefs, rituals, ceremonies and Gods to worship. Religious houses/ prayer houses of different faiths are built everywhere and most people commence any new work only after seeking the blessings of their God and elders. Thus with religion and spiritualism so close to an Indian’s heart, it’s little wonder that India is a land of many beautiful temples, churches, mosques, gurudwaras and monastries. Over time, these religious houses have acquired a special significance or meaning of its own and some have come to be known as great pilgrimage sites. So apart from being worshipped and revered by the local people of that destination only, these holy or religious sites see many tourists and travellers coming in from far and wide with their immense faith and belief. We have listed down a few of such famous religious destinations in our country. 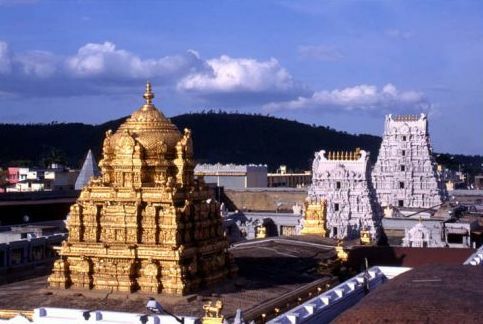 The holy town of Tirupati is one of the most renowned, revered and worshipped places in India, situated at the foot of Seshachalam Hills in the South Eastern part of Andhra Pradesh. It holds the distinction of being one of the 8 most sacred places of Lord Mahavishnu. This town is dotted with several temples like the Akasaganga Teertham, Sri Veda Narayanaswami Temple and the most celebrated being the Tirumala Venkateswara Temple, the dwelling of Lord Venkateswara, which is located on top of the Tirumala Hill. It is believed to be the most visited shrine and richest temple in India. The Laddoo prasadam received here is also world famous. Owing to the religious ethos and ambience here, this temple town is also referred to as the ‘Spiritual Capital of Andhra Pradesh’. The best time to visit would be from November to February when the weather is quite cool and pleasant. By Bus – The Andhra Pradesh State Regional Transport Corporation offers regular bus services between Tirupati and all major cities in the state. By Air – The Tirupati Airport in Tirumala is well connected with airports in Bengaluru, Chennai and Hyderabad, which in turn are connected to several cities around the country. One can easily take a cab from the airport to take you to your preferred location in the city which is about 14 km away. By Train – The Tirupati Railway Station is well connected to several major railway stations in the South. This is a hindu temple, dedicated to Goddess Durga/ Mahakali/ Parvati and located at an altitude of 5200 ft near Katra at the Trikuta mountains in Jammu and Kashmir. The journey itself to this shrine along with the breathtaking surrounding landscape, makes this a trip worth cherishing. 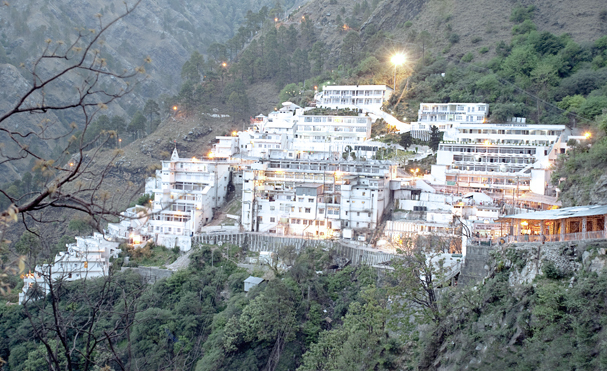 The Vaishno Devi shrine is managed by the Sri Mata Vaishno Devi Shrine Board. Currently this temple is believed to be the second most visited religious site in the country with around 60,000 visitors flocking in every year. This shrine or holy cave which houses the deity in the form of Pindies (natural rock formations) can be visited right through the year, but the period from May till July and the festivals of Chaitra and Sharad-Ashwin sees the most number of devotees visiting this sacred site. The months of December and January have heavy snowfall. By air – Jammu airport, 50 kms away is the closest to Katra and is well connected to several major cities in the country. Taxis or cabs are easily available here to take you to Katra. By train – The nearest railway station from Katra is the Udhampur Railway Station from where taxis can be hired to take you to Katra. By bus – Jammu and Kashmir State Road Transport Corporation operate bus services to and from Jammu to Katra at regular intervals. Private luxury buses are available too. From Katra, people can trek or avail of different modes of transportation like ponies, paalkhis operated by 4 people or electric vehicles, to take you to the temple site. Amritsar is the main spiritual and cultural centre of the Sikh community. The city starts its day with prayers being recited from the Gurudwaras. 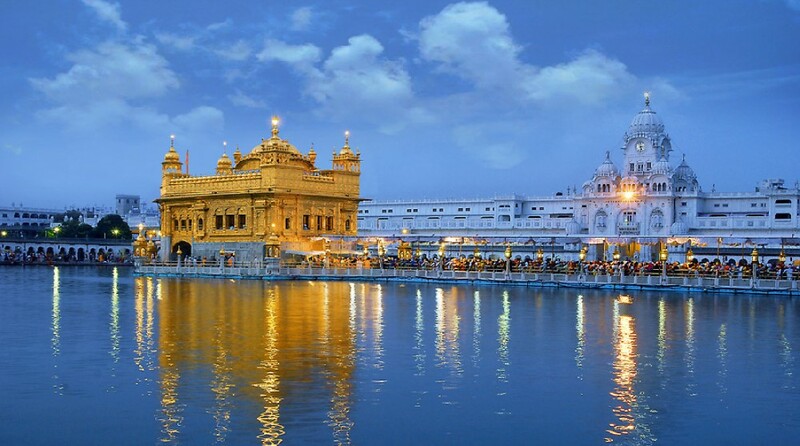 Home to the magnificent Golden Temple or Sri Harmandir Sahib Gurudwara built by Guru Arjan, the fifth guru of Sikhism, this structure with a gold gilded dome and walls stands proudly around a man-made lake. This temple opens its doors for worship to people from all walks of life and faith. The temple is a collection of buildings around the sanctum and the pool. One of these is the main centre of religious authority of Sikhism, called the Akal Takht. The other buildings comprise of a clock tower, the offices of Gurdwara Committee, a museum and a langar, which is a free, Sikh community run kitchen that serves simple vegetarian meals to every visitor, irrespective of their caste, status or faith. More than 1,00,000 people visit this shrine daily for worship. The warm hospitality and generous nature of the Sikhs is a memory that every tourist/ pilgrim takes back home with them. The best time to visit this shrine is between November and March, when the weather is really cool. By air – The Raja Sansi Airport (ATQ) has regular flights coming in from major cities of India. By train – Amritsar has a good railway network to other major cities of the country. By bus – Several buses ply regularly from various major cities in the country. 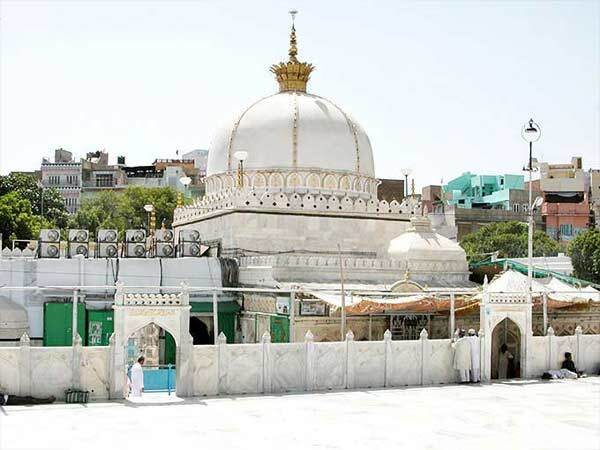 Ajmer Sharif is a sufi shrine, which has the grave of the revered sufi saint Moinuddin Chisti. This sacred Dargah Sharif is visited by millions of devotees from all over the world, through the year. Devotees strongly believe that the saint fulfills all their wishes, that they place before him, on their visit here. The Ajmer Sharif Dargah is situated at the foot of the Taragarh hill and is about 2 km away from the main central Ajmer Railway Station . The domed tomb of the saint rests in this Dargah which consists of several white marble buildings arranged around two courtyards. It has a massive gate donated by the Nizam of Hyderabad and the Akbari Mosque which was built by the Mughal Emperor Shah Jahan. The Dargah is an international wakf (endowment) managed under the Dargah Khwaja Saheb Act 1955 of the Government of India. The Dargah committee appointed by the government takes care of the maintenance of the shrine. Although the Dargah is always crowded, the best time to visit the shrine is during the Urs festival which is held annually. Otherwise October to March is an ideal time to visit Ajmer as April to June brings scorching heat to the city , after which there are monsoons. By air – The Sanganer Airport in Jaipur is the nearest airport from Ajmer and has regular flights to and from Delhi and Mumbai. From the airport, one can hire a cab to reach Ajmer. By train – The Ajmer Junction Railway Station is well connected with major Indian cities. By bus – The Rajasthan State Road Transport Corporation operates bus services which connect Ajmer to cities like Delhi, Jaipur, Udaipur, Jodhpur and Jaisalmer. Private bus operators ply this route too. Velankanni is famous for one of the biggest Catholic pilgrimage centres, The Basilica of Our Lady of Good Health. Velankanni is located on the Coromandel coast of the Bay of Bengal in the Nagapattinam district of Tamil Nadu. Devoted to our Lady of Good Health, the church is also known as ‘Lourdes of the East’. Built in the beautiful and interesting Gothic style architecture, the construction of this church is attributed to 3 miracles: the apparition of Mary and Jesus to a slumbering shepherd boy, the curing of a lame buttermilk vendor and the miraculous escape of Portuguese soldiers, assaulted by a violent sea storm. This shrine is visited by more than 20 million pilgrims annually, from far and wide. 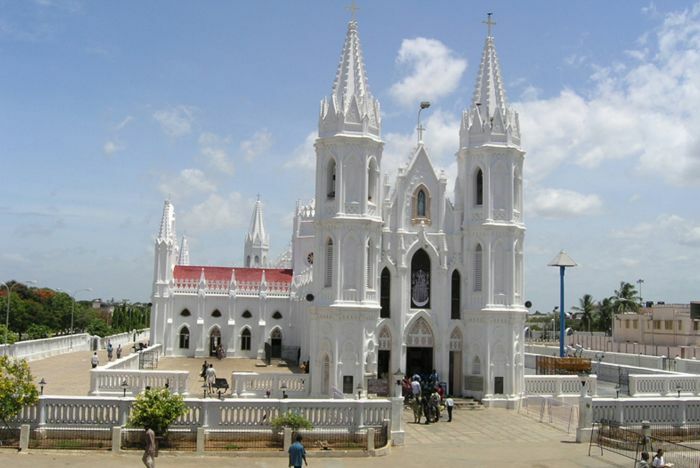 The best time to visit Velankanni would be from October to February, when the climate is cool and inviting. Almost 3 million people visit the shrine during its festival which will be held from 29th Aug to 8th September. By air – The nearest airport is Civil airport at Tiruchirappalli . By train – Trains to this city are easily available from many major cities of India. By bus – There are regular buses plying form several major cities of India. 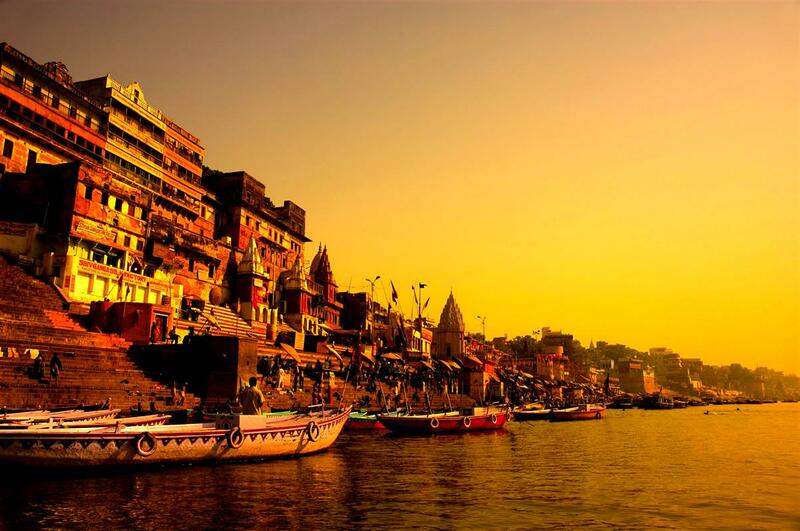 Varanasi in Uttar Pradesh is one of the most sacred pilgrimage sites for the Hindus. It is a common belief that Hindus must visit this holy city at least once in their lifetime to acquire moksha and to cremate their ancestors. The Kashi Vishwanath Temple is one of the most famous temples here dedicated to Lord Shiva. The temple is situated on the banks of the Ganga and is one of the twelve jyotirlingas, the holiest of Shiva temples. The most noticeable feature of the temple is the 15.5 metre high gold spire and gold dome. There are three domes, all made up of pure gold. A visit to the temple and a bath in the Holy Ganga is believed to help one attain Moksha. The Ganga Arti performed here every morning and evening as a ritual enhances the divinity of the place . The temple receives about 3000 devotees from all over the world daily and at times this figure increases to almost 10,00,000 and more. The best time to visit Varanasi would be during winters from October to March. By air – Varanasi Airport is well connected to major cities like Mumbai and Delhi. By train – Varanasi has a good rail network with quite a few cities of the country. By bus – State run buses ply between Varanasi and other major cities of Uttar Pradesh as well as neighbouring states. Private air-conditioned buses are also available from several cities.